What better way to introduce you all to my love for Amazon than sharing today's great Gold Box deal! Today (March 29th) you can score a Certified Refurbished Kindle Fire for only $139! They are certified to look and work like new AND come with the same one-year warranty (and other perks like the Amazon Prime Members Lending Library)! I have 2 iPads but I definitely took advantage of this deal because I've been wanting a dedicated e-reader. I've been holding off on the hope I would win a giveaway but so far it hasn't happened! I love to read and there's so many free books available for Prime members with a Kindle. I also don't want to kill the battery on my iPad from all my reading! 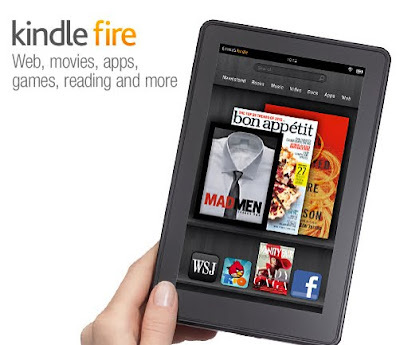 If you have a Kindle Fire or you end up taking advantage of today's deal let me know how you like it!